On the occasion of his historic trip to East Africa, President Obama pledged stronger measures to end ivory sales in the United States, widely considered to be the world’s second largest market after China. "Our countries are also close partners in the fight against poachers and traffickers that threaten Kenya's world-famous wildlife," Obama said during a Saturday press conference alongside President Kenyatta of Kenya. "The United States has a ban already on the commercial import of elephant ivory. I can announce we're proposing a new rule that bans the sale of virtually all ivory across our state lines, which will eliminate the market for illegal ivory in the United States," while further restricting imports and exports, the President said. Under current federal law, ivory can be sold legally across state lines if it was imported prior to January 18, 1990, the date when African elephants were officially listed under CITES Appendix I — the greatest level of international protection for threatened and endangered species such as gorillas, tigers and giant pandas. The seller is obligated to prove that ivory was imported before 1990. • The item contains only a small amount of ivory — specifically under 200 grams — that was acquired prior to 1990. Musical instruments, firearms and some furniture pieces could fall under this exempted category. Charity Navigator awarded WildAid with a 4-star rating, outranking many other renowned organizations, such as the World Wildlife Fund and Conservation International, as one of the most fiscally responsible, accountable and transparent charities in America. 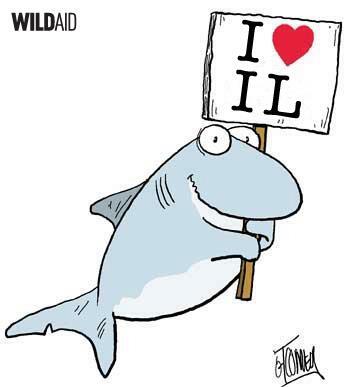 Today, with the signature of Governor Pat Quinn, Illinois becomes the fourth state in the continental US, and the second largest, to ban the sale, trade, possession, and distribution of shark fins. In New York, a shark fin ban (A.7707a/S.6431) passed through the Senate Environmental Conservation Committee by a vote of 13-1 on Tuesday. The bipartisan state legislation is sponsored by Assembly Members Alan Maisel (D-Brooklyn) and Grace Meng (D-Flushing) and Senator Mark Grisanti (R-Buffalo) in the Senate. 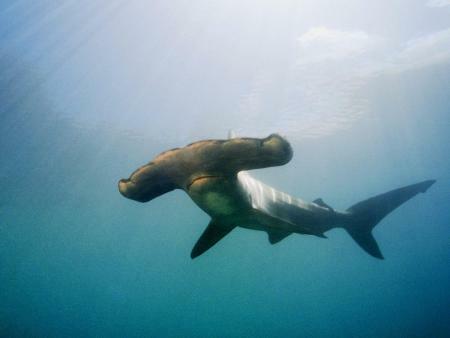 Act now to support shark conservation! In New York, the Senate Environmental Conservation Committee will vote on Tuesday morning on the state's proposed shark fin ban. Passage through this committee is critical. Yesterday WildAid joined the Earth-loving, eco-friendly community at the University of San Francisco’s Earth Day extravaganza. All walks of life were present - from WildAid and the Rainforest Action Network to student-run farming groups and a band whose amps were powered by pedal power. 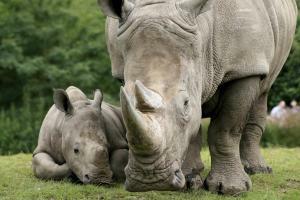 TreeHugger, an online environmental news publication, recently featured WildAid on its list of 'The 7 Biggest Celebrity Hits and Misses of 2011'. The article labeled WildAid's partnership with ambassadors Leonardo DiCaprio, Yao Ming, and Edward Norton, along with actors Ben Stiller, Scarlett Johansson and others, as its top celebrity environmental 'hit' of 2011.